Police have allegedly banned a number of bars and clubs in south London from playing a genre of Jamaican music which officers have deemed 'unacceptable'. 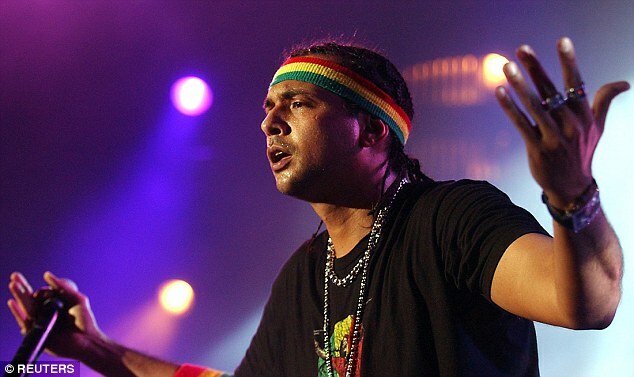 Several premises in Croydon have been told they aren't allowed to play bashment - derived from reggae and made popular by singers such as Sean Paul and Beenie Man. A leaked document revealed how police said the music - which has been criticised in the past for being homophobic and sexist - was 'unacceptable' and was 'linked to crime and disorder'. Roy Seda, owner of Dice Bar in Croydon, said that his bar had been told to stop playing bashment and that undercover officers visited his bar several times to check on DJs. Mr Seda said he had now been forced to make all his DJs sign a contract promising they will not play certain tracks - and even had to sack one DJ who refused to stop playing the music. He said concerns about bashment music were first raised with him during a meeting with the police's licensing team last February. 'We had a flyer which said R&B, garage, house, bashment and hip hop - and I was advised to remove the word bashment because chart and commercial music is considered safer,' he said. Mr Seda says the advice then developed into official police policy last May and said he was told to stop playing bashment music entirely, the Croydon Advertiser reported. He said: 'Every week customers come up to me and ask why we've stopped playing bashment music. 'They don't understand. They think I'm a racist. All I can say is I am really sorry but the Metropolitan Police has told us not to play bashment and, if we don't, I will lose my licence. Mr Seda says the police told him to remove bashment from his flyers advertising the bar and said he should 'stick to chart music'. The police applied to the local council on March 2 to review Dice Bar's licence claiming it is 'associated with persistent crime and disorder' and puts 'patrons and police officers at risk of harm'. The application by Metropolitan Police to Croydon Council, south London, says that police have spent 12 months 'dealing with this venue' and has become 'the main drain on police resources'. Mr Seda said he believed the Met had poured a disproportionate amount of resources into building a case against his club. He said every Friday and Saturday night at least one police van would park outside the club while two or more officers were stationed outside the door. Before entering the club, customers are breathalysed, questioned by door staff, swept with a metal detector, frisked, asked to empty their pockets and also have their ID scanned. 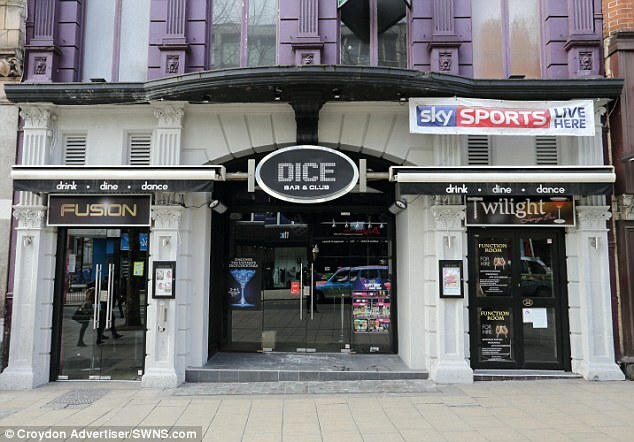 Clubbers refused entry or ejected from the club are approached by police and questioned, explaining that some who are misbehaving or too drunk are often arrested, according to The Dice Bar owner. Mr Seda, who has owned the bar since 2012, told the Croydon Advertiser he was 'taking a stand against the police' after he found out that officers were denying the ban to the public. He has written to the police repeatedly telling them that by banning the music they are being 'deeply offensive to people who have Jamaican heritage'. The paper reported that it had learned of a second bar which police had banned from playing bashment, but that its licence-holder did not want to go public. Council leader Tony Newman, the keyboardist with 80s band Shark Taboo - who released four albums and toured with The Smiths - said the ban, if true, was shocking. He told the Croydon Advertiser: 'Speaking as both a politician and a musician, I find it absolutely shocking that there are somehow unacceptable forms of music in Croydon. A Croydon Council spokesman said: 'Neither the council nor the licensing committee has a policy banning any particular kind of music. A spokesman for Croydon police said it could not comment on the matter 'due to the licensing review'.